Leaning close into Ansel Adams' photograph "Canyon de Chelly National Monument," created in 1942, I saw the fine dark outline of a tree, far away, down by the river. It was so clear, and so sharp, I felt like I could reach out my hand and gently lift it from the valley floor. I've been making images professionally almost all of my adult life, and like so many of us today, I have a camera in my pocket at all times, and I document life as I go. Making pictures is easy these days. But it wasn't always that way, and as I walked from print to print through the Museum of Fine Arts' "Ansel Adams In Our Time" exhibition, I could feel the excitement of a very different era of photography pulling me along, my heart in my throat. It took me back to my days of black and white photography, pushing film into cameras, bathing it in developer, printing on glossy paper in the red light of a darkroom, and letting the soft illumination of an enlarger play through my fingers as I struggled to get the print I wanted. Back then, before the distractions of mobile phones or the internet, I would look at Adams' images in books, and marvel at his deep shadows and bright highlights, his burned dark skies, his high contrast, and his extraordinary detail. I sought out his images, read his amazingly detailed guides, and I borrowed some of his ideas. Years rolled by, black and white started to go away, and digital arrived. One day I bought a digital camera and it was all over. No more orange filters, no more loading film in the dark, no more watching images emerge in the low red light as you rocked the magic liquid across them in the tray. But now I found myself at the MFA looking at photographs — both nostalgic for the days when we used film and exhilarated to find Adams' images as powerful, exciting and enduring as they've ever been. Photography is part art, part craft — and a huge amount of patience and persistence. You can see all of this in Adams' work. With his fine grained, high contrast expansive photographs of iconic American landscapes, he's everyone's photographer, but considering the extraordinary feat it must have been to create images like "Clearing Winter Storm" over half a century ago, he's also an inspiration to anyone who's ever picked up a camera. He's a photographer's photographer. He had to know his cameras, so he could quickly set them up to capture the image in focus when the moment arrived. He had to know his film, so he'd know just how to expose it, without using a light meter if necessary. He had to know his chemicals so he could create fine grain on his large format negative to give him the detail and contrast he wanted. He had to understand the colors in front of him so he'd know which filter to use to darken the blues, or bring out the detail in the greens when transformed into black and white. In the darkroom, once Adams had developed his negatives, he would return to them over and over again to create the image he'd envisioned. 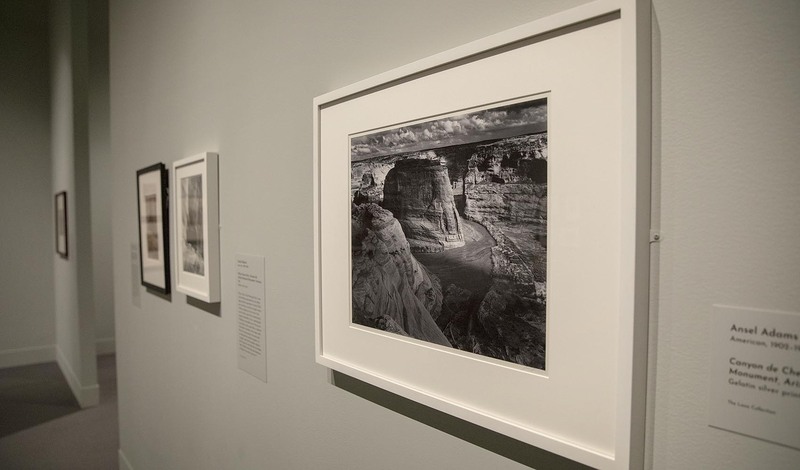 Adams may be mostly known today for his landscapes, but "Ansel Adams In Our Time" shows a broad selection of his work, portraits, buildings and the American landscape standing back, and close up. It also illustrates the ways his intense mastery of his craft has influenced photographers who came after him. Of the 200 or so images in the MFA's exhibition, half are by Adams and the rest are of a broad range of subjects by other photographers and artists, some from before Adams' time, and some who are pushing the boundaries of photography today. Like Meghann Riepenhoff who wades into the ocean to create dynamic cyanotypes that record the movement of waves and sand, or Abelardo Morell who constructs a camera obscura with a tent and then blends the image the camera sees with the ground beneath it. 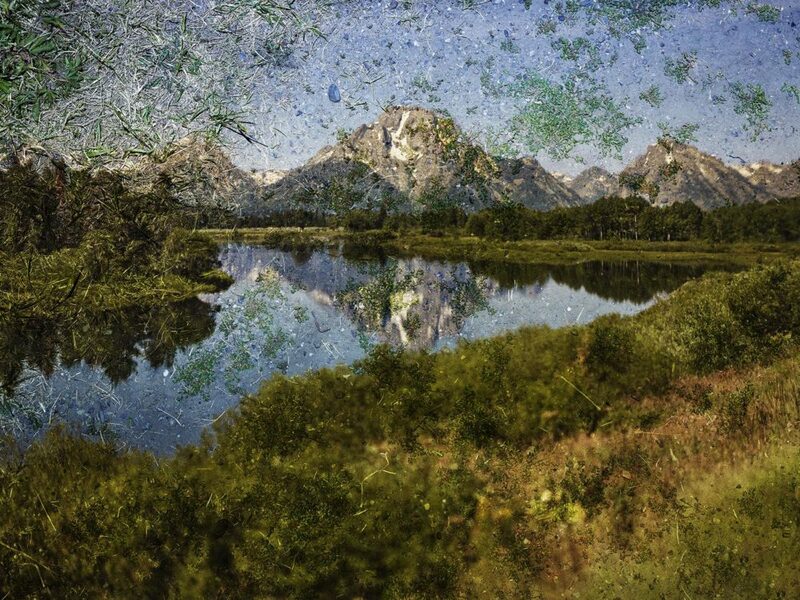 Adams often used musical terms to describe his process, says MFA curator of photographs Karen Haas. He would say his negatives were like a musical score, and each print from that negative was like a performance from that score, she says. By waiting for the light to paint the landscape the way he wanted, and by building on that in the darkroom, he developed his unmistakable style that made the prints of many of the great photographers who came before him look lifeless and flat. With swirling clouds and relentless dark rivers, Adams perfected the craft, and added emotion. "He wanted us to experience the same emotional response that he was feeling at the time of his making each picture," says Haas. 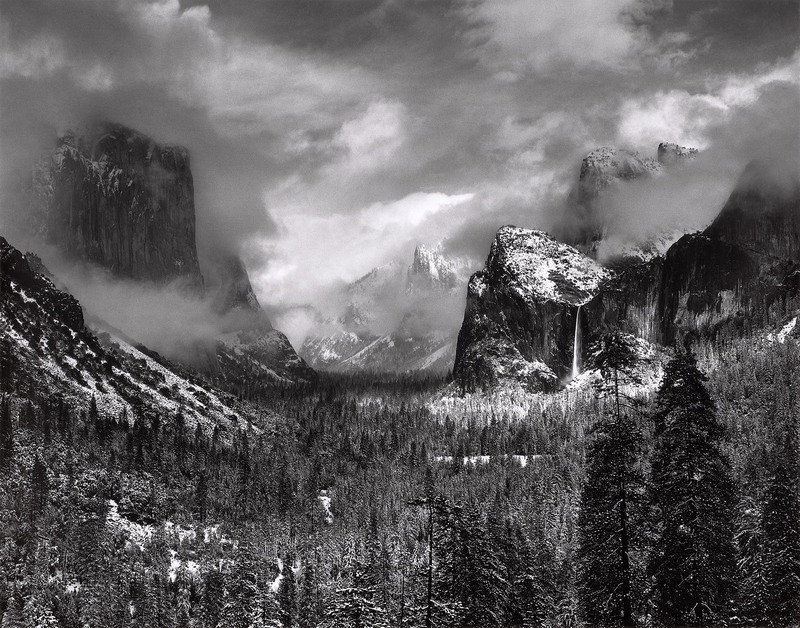 For example, to capture the view across Yosemite valley in "Clearing Winter Storm," he knew he wanted to set up his camera on a rocky outcrop called Inspiration Point. But then he had to wait and watch. Watching the light fall across the mountains and waiting for that moment. One day, after a storm, that moment arrived. He raced up the valley and made the image. "It's a really amazing view," says Haas, "and one that he tried for years to capture, and managed to do on this one particular day." You might ask yourself how much of this process remains for the photographer today. 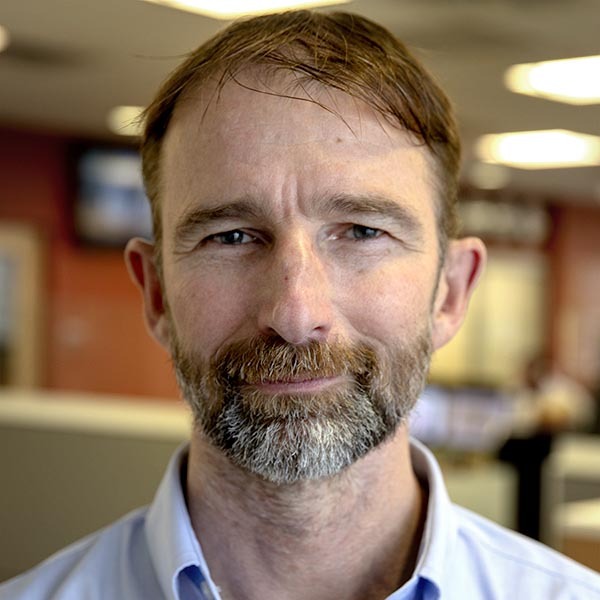 The technology and the way we make photographs has changed. There's no waiting for film to develop, and the darkroom is a bright computer screen. But the way light falls across Yosemite hasn't changed. The mastery of the craft hasn't changed. The persistence and patience needed to capture that perfect moment are as real today as they were that day, when Ansel Adams climbed up to Inspiration Point. 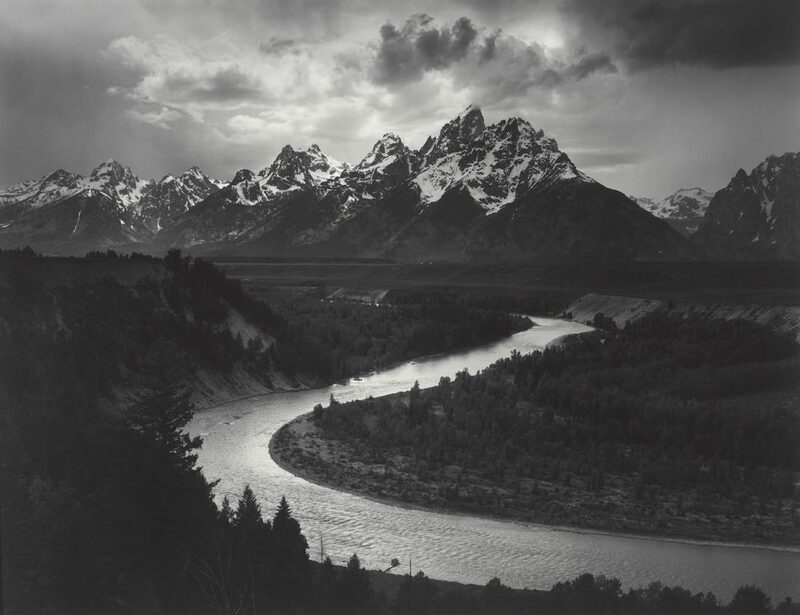 "Ansel Adams In Our Time" is at the Museum of Fine Arts in Boston through Feb. 24.